Water Sports Tour Packages Gangtok - Check Now! Water sports are the adventurous activities which are particularly popular in the beach area and river banks where the water content is high enough to support all kinds of activities. Oho! Adventure is involved in providing an array of water sports and activity packages. We offer exciting water sports tour packages for most famous beachside and river destinations which includes swimming, canoeing, angling, diving, sailing, jet skiing, catamaran rides, paragliding, parasailing, scuba diving, water skiing, snorkeling, windsurfing, speed boating, and deep sea fishing. Our team of experienced tour operators strives to facilitate all the travel requirements by rendering excellent services. 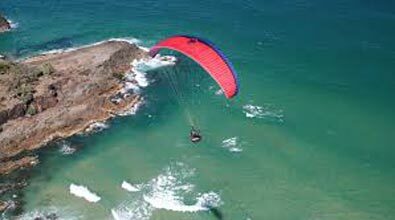 If you happen to be a huge fan of adventure watersports, you will be delighted by our offered range of watersports based tours at an affordable cost. We would love to host you on an unforgettable adventure.